366 Slim Line Female Emergency Vent UL-ULC | Clay & Bailey Manufacturing Co. Slim line style is ideal for limited space applications. 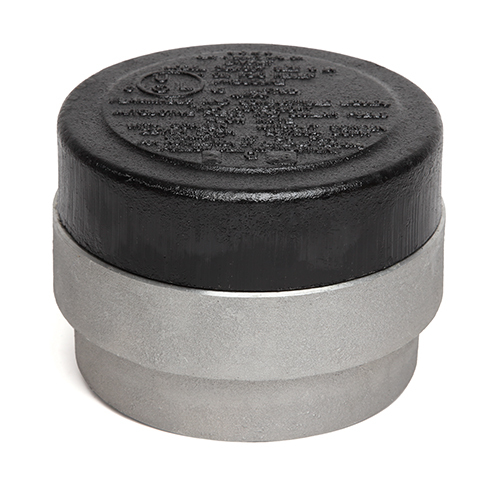 Heavy-duty cast-iron top and base with aluminum bases available.Machined top and base with Buna-o Ring provide a vapor resistant seal. 4″, 5″ and 6″ female NPT thread standard. Optional screen minimizes chances of theft or vandalism. Pressure relief set at <0.5 PSI. Clay & Bailey vents can be used in a variety of Aboveground Storage Tank Equipment installations where reliable fuel handling Petroleum equipment is required. Categories: AST Equipment, Emergency Vents, Venting, Vents, Vents.